If you love waterfalls, then you can’t go past Iguazu/Iguassu Falls, the horseshoe shaped water fall known for its picturesque views and unusual location in both Argentina and Brazil.With more nearly 300 individual falls, spread over nearly 3 kilometres and set in the jungle, this world heritage siteis a breathtaking natural phenomenon and considered unlike any other waterfall in the world and a must for your bucket list. Because of their supreme setting, the falls have served as a backdrop for feature films in the Indiana Jones and James Bond series, but given the two spellings given to these falls, Iguassu or Iguazu, there is some confusion surrounding why and what these terms mean for travellers. Iguazu is a word meaning ‘big water’ or ‘great water’ given by the indigenous Guarani and Tupi peoples of Paraguay, Brazil and Argentina. The falls were discovered by Spanish explorer Alvar Nunez Cabeza de Vaca in 1541, but a native legend is credited to their existence. According to locals, a deity was engaged to a beautiful woman named Naipi, but she betrayed him with a mortal named Taroba by escaping with her lover in a canoe on the Iguazu River. Blinded by rage, the deity sliced the river in half, creating the waterfalls and contributing to the demise of his traitors. Like some of the other major waterfalls in the world such as Niagara and Angel Falls, Iguazu serves as a natural border between the countries of Brazil and Argentina. This fact directly relates to the two misspellings of the name with the town on each side influencing the spelling. Puerto Iguazu is the name of the town on the Argentina side and Foz do Iguassu the name of the town on the Brazilian side of the falls. Each side of has the area closer to the falls designated as national park space with entry fees and restrictions to be observed. 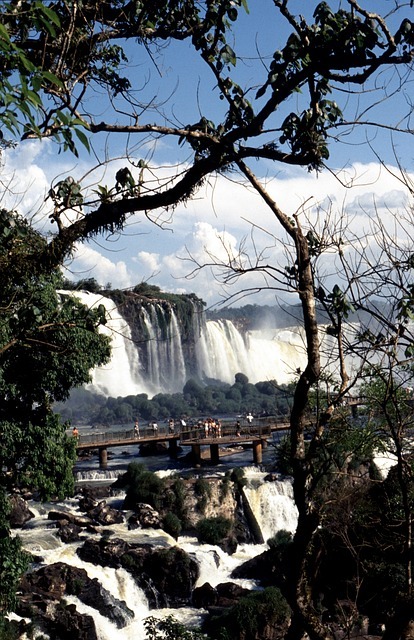 If you see the spelling Iguassu Falls, this refers to the Brazilian side of this gorgeous natural wonder. The view of the falls on this side is panoramic and generally means better photos as you are better able to capture and appreciate the magnitude of 275 waterfalls in one vantage point. You can access this side through the airport (IGU) and choose to stay in town or at hotels closer to the falls themselves such as the Belmond Das Cataratas. (link) Extra activities available of Iguassu tours on this side include the Macuco Safari adventure cruise, the Brazil Bird Park located outside the entrance of the falls itself and even the thrilling helicopter ride over the falls for a bird’s eye view of this stunning spectacle. The majority of Iguazu Falls actually lie in Argentina, including access to Devil’s Throat, often considered the most impressive aspect as the point through which most water passes. The Argentina Falls are spread into different trail systems of Upper and Lower Iguazu, where special walkways have been constructed for traveller ease and for closer proximity to the falls and a trip to Devil’s Throat includes a short train ride and series of over water platforms so you can look down from the top Iguazu. 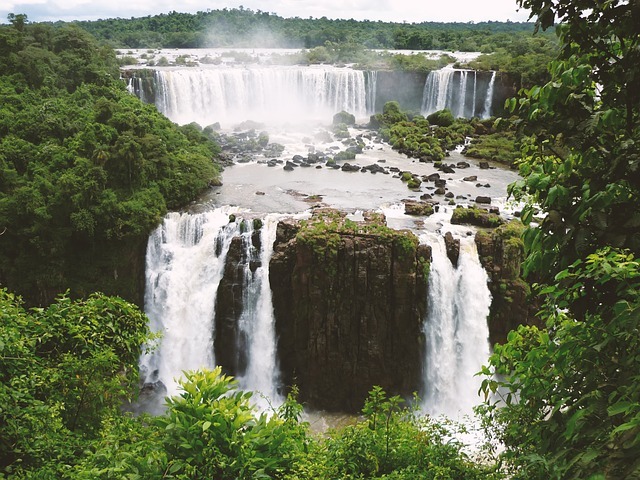 For animal lovers, the falls on the Argentinian side of the river are home to several rare species of birds and mammals, including the Vinaceous-breasted Amazon Parrot and the Jaguarundi and if you are lucky enough, you may even spot a Tucan. 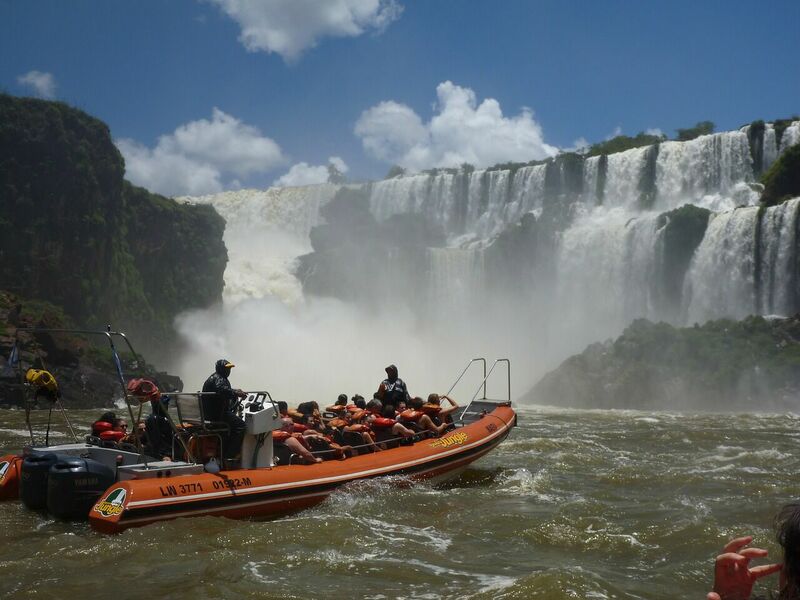 Apart from seeing the falls themselves, extra Iguazu tours and activities on this side include the Gran Aventura boat ride (right up to feel the power of the falls) and a drop off at San Martin Island where you will take a 4wd trip through the jungle. 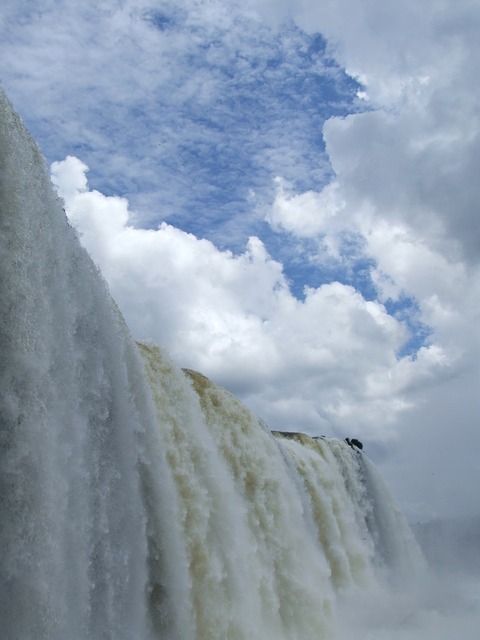 So which side should you visit :Iguazu or Iguassu Falls? This is one of the most common questions and to truly appreciate the wonder of Iguazu, you should visit both sides of the falls as both offer contrasting and very different perspectives. 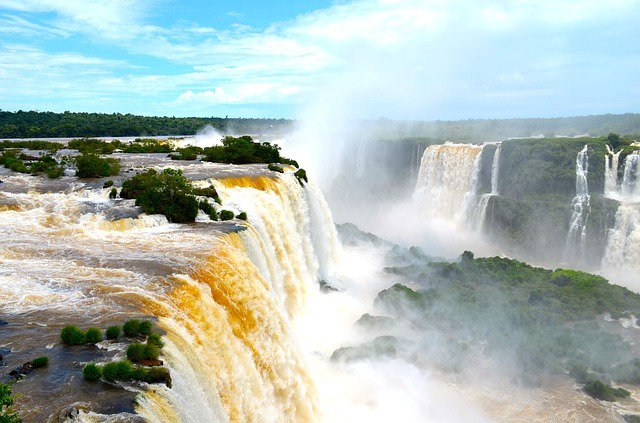 That doesn’t mean switching hotels, it is often easy enough to stay on one side and take a day trip to another (organised Iguazu Tours will help you cross the border and actually speed up this process.) It is also common and convenient to use Iguazu falls as a surface crossing between Argentina and Brazil, e.g. arriving into IGU airport in Brazil, exploring both sides and flying out of the other side (IGR) or vice versa. *Please note however that if you visit the Brazil side, Australian travellers will need a visa, yes, even if just for the one day trip and this must be pre-organised before you leave Australia. We visited Iguazu Falls last year. This is incredible attraction. Located in Brazil and Argentina. Highly recommended for all of you.